At a time when fundraising in the sector is becoming increasingly difficult, digital is offering an increasingly effective channel. Now, as the digital fundraising sector is reaching a level of maturity, despite the constantly changing technical and cultural landscape, clear best practices are starting to emerge. This is the first of a series of blogs that upriseUP intend to publish to help pass on our learnings. Here we are looking at the initial strategies needed for success in digital. These are the things that need to be in place before even starting to plan the detail of what activity will run on what channel. In many instances these could also be thought of as mindsets, but they highlight common processes and systems, that benefit campaigns. Put simply, when we have seen these methodologies come together, they deliver successful online campaigns. Without them many digital fundraising campaigns fail. These blogs are written for people working in, or with an interest in, fundraising. Not necessarily digital or marketing. Therefore, there shouldn’t be any unexplained jargon. However, should you have any questions, we’d love to hear from you and find out how we could help. Please email us at info@upriseup.co.uk. An apparently easy one to start off with, but it is surprising how often fundraising campaigns are planned and launched without clear specific goals in place. Tracking these goals is then paramount to success – but we will come to that in the later section on Analytics. What is the fundraising product? How will supporters be able to help? Are successful goal completions being tracked? What is the required ROI (Return On Investment)? Never lump several needs into one campaign, such as “donate to our cause, buy from our shop and if you have time complete a challenge”. Unless this is formed around an exceptionally tight message, it simply does not work. Supporters need a clear indication as to how they can help. You can provide alternatives if they need them, but make your primary goal clear. Be clear about how supporters will be able to help. If it is through online donations, ensure the site can support that. If you would prefer regular gifts rather than single donations, have a default regular giving ask on the landing page. Are goal completions being tracked? 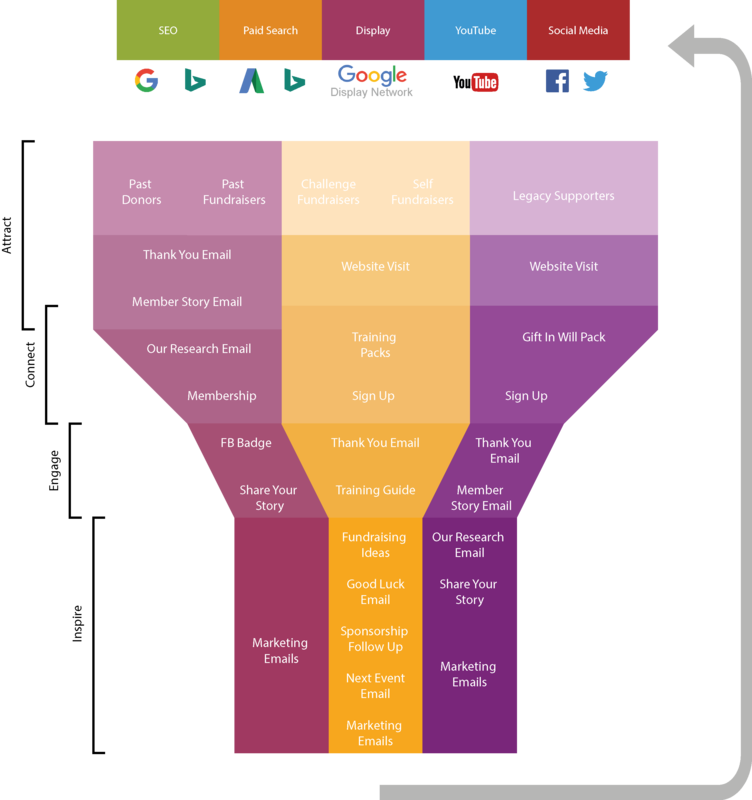 So important to have mechanisms in place to track your success against all types of visitors. We talk about this more under Analytics. It is essential to know what success looks like, especially if you are investing (financially or otherwise) in the campaign. Are you looking to build awareness or maximise on ROI? If there is a clear single donation ask, how much do you need to see as a return for every £100 you spend? Understand the audience that you are targeting as this will have a huge impact in how to target them and the message that you want to get across. Are they a ‘warm’ audience or ‘cold’, male or female, young or old? Two practices that we run through with this are: research and creating personas. Once you are tracking your web traffic effectively, Google Analytics (Universal) will be able to provide you with all sorts of demographic data on who is doing what. So long as it is well maintained, your own database of supporter information should be able to give you real nuggets as to the type of person that fits your sympathetic supporter profile. It is exceptionally powerful to either measure yourself against what has gone before, but also against other charities in the same field. 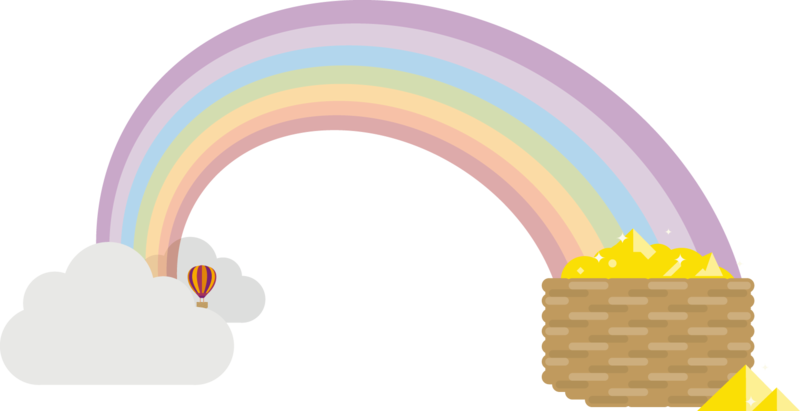 CharityComms organise a particularly good one for medium to large charities. Utilising personas is an extremely effective exercise at the beginning of a digital marketing campaign. It helps organisations consider their target audiences by considering the type of person – or people that they are marketing too. Answers to questions like this provide insight into which creative should be used on which channel, and what time of day. Once marketing campaigns are launched they need to be adapted to the results, but really considering the audience forces marketers into a conducting useful research which will usually provide insights into an effective starting point for the initial plan. It is important that Digital doesn’t become separated from the organisation’s overall marketing and communications. Typically, across all fundraising campaigns, the most effective place to start is with people who have already shown an interest in the organisation. This could be members, past donors, challenge event supporters or beneficiaries. Therefore, the real risk is that a disjointed approach across different channels, each focusing on a different campaign will generate mixed messaging issues with the most important of audience. In turn this can lead to a disengagement with the charity brand as a whole. It’s not just about risk. In many instances there are a number of powerful opportunities when ensuring synergy between on and off- line. There needs to be a consistent look and feel across the two. Also, visa-versa, is there a ‘Guide to our work’ or similar publication that would make a good e-book? It takes time to research, draft, check and ‘polish’ good content. Often this is done for offline brochures and leaflets, but is not done for websites. Our belief is that users considering becoming involved in the fundraising efforts of a charity are very eager to understand that charity and the need it is engaged with helping. They want to read about it! – and having a place where content (already written for offline activities) can sit is a significant opportunity. Its not just about the written word. Photos, graphics, infographics and the brand guidelines themselves can all be share. In fact, many image ads for digital display advertising will take photos and other images and generate banner formats from them in a way that suits the page they are on – automatically. This not only reduces the cost involves but helps generate a connection between on and offline. Messaging and channel selection will likely vary considerably depending on the engagement journey an organisation is aiming to achieve. For a quick appeal campaign, where there is an urgent need, paid search campaigns, such as advertising on Google may yield the quickest return at the most effective ROI. This might be especially effective for an international Disaster Relief Campaign such as the British Red Cross. This would effectively bring in traffic further down the funnel, at a time when they are more likely to donate – but there are only ever a limited number of those people. However, some brands are built over time from continued strong messaging in the right places. The WWF might show impactful videos and banner ads (display) to a targeted audience and over time ask them to sponsor an animal, leading to strong regular giving momentum. 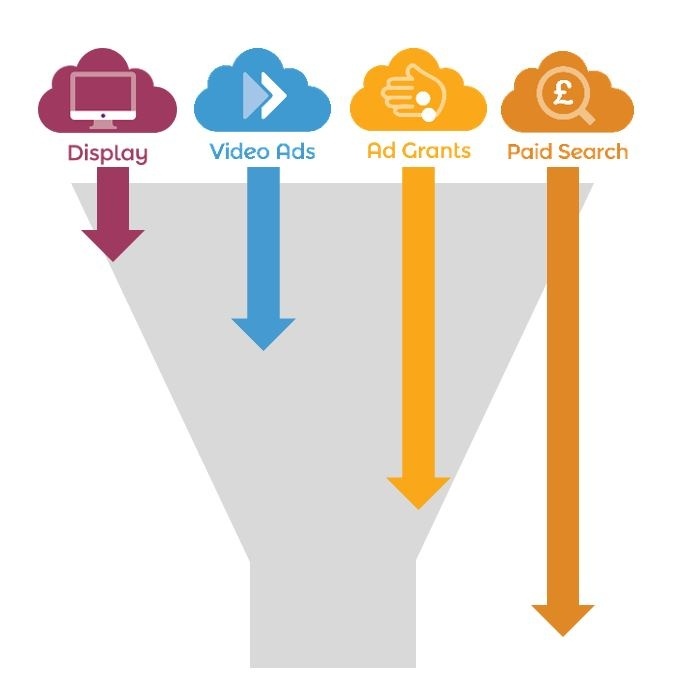 Often a variety of channels are used together, the available quick return, high ROI traffic that paid search can deliver is limited, and at this point a wider brand awareness campaign supports the charity’s efforts. Automated marketing is poised to make a significant impact to the charity sector. We are already seeing great advancements in other sectors – and in charities in the USA. There is real potential for it to be used to build engagement for potential contributors to charities in the UK, and we expect to see significant increase in the usage of Automated in the UK charity sector in 2018. Automated marketing relies on good content and useful online resources that users will be willing to sign-up for. Once the user signs up to a mailing list, organisations are then able to build a relationship with newsletters, requests to sign a petition, and other communications which engage with those users. 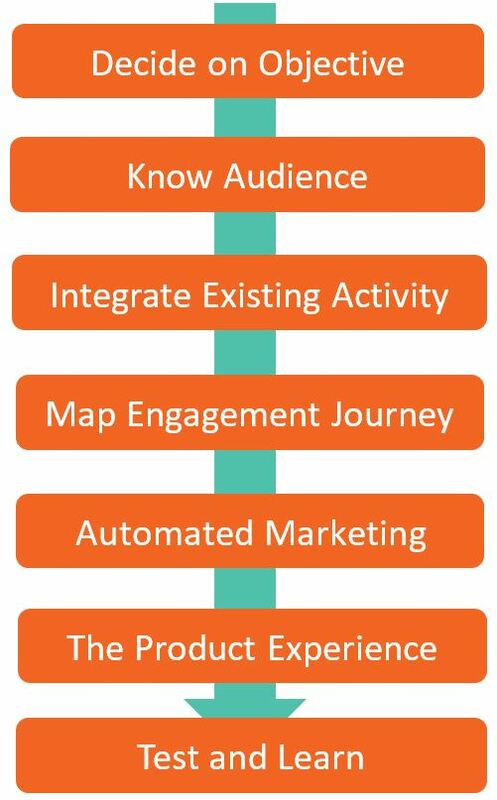 Also, this messaging and the engagement journey the user takes can be automated by systems pre-set that are designed to move users to act by understanding their interests and engaging with those interests effectively. Crucial to the success of the campaign is the product itself and how it is sold. It might be a great idea, or a very current appeal campaign. 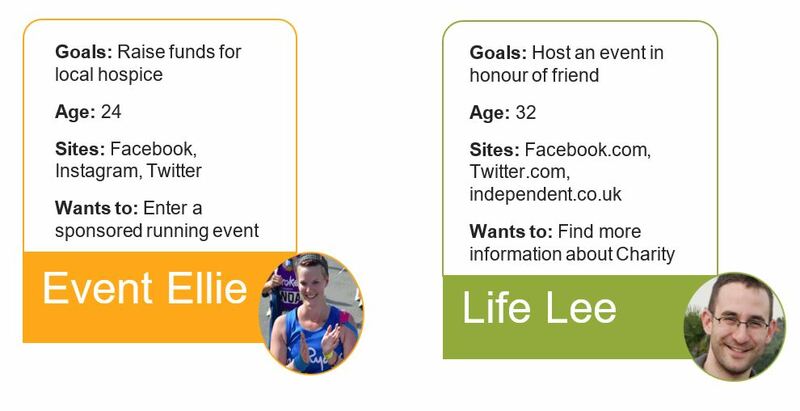 It might also be pretty standard as a concept – regular giving online donations, run the London Marathon. The setup of the landing page, and the journey you take the user on, is crucial. Converting people is dependent on a good product presented well. Be very clear about what the situation is that you need help to resolve. Give details as to the scale of the problem but also focus in on individual stories. Be clear about what your charity is doing to help. Demonstrate to the audience that you have an ethos and a system that is working to tremendous effect. Also show them that you have a plan – that with their help can ensure that the organisation goes on to provide continued support, maybe at a greater scale. Video, sound, photos and other images really do speak to audiences in ways that text can never reach. They are especially important at speaking to audiences on an emotional level which is our goal. It’s simple stuff, but you need to let the user know what you want them to do – in a way that they can identify if they only look at the landing page (or subsequent journey pages) for a couple of seconds. -And make the call to action easy to follow! Very important this one. Many potential supporters will drop out if you make their journey too cumbersome. Give alternative payment options and make them easy. Make any forms simple and with as few fields to complete as possible. And please, wherever possible try to avoid asking users to print a form and post it back to you! 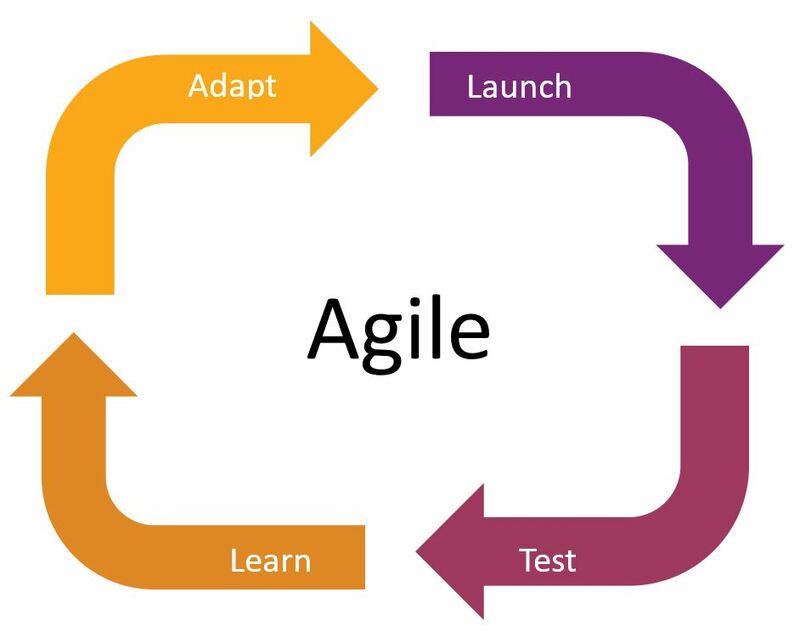 Launch, test, learn and adapt is a basic tenant of effective digital strategies. Long gone are the fixed yearly budgets, basically a re-hash of the previous year. Now there are myriad changing external factors such as technology, consumer habits and competitor activity. And our campaigns need to change and adapt appropriately. Not only that, but there are infinite different targeting combinations out there – and we effectively track and evaluate each one, so why wouldn’t we have fun, continuously trial different approaches and learn from the results we get. Any long-term planning should always contain a healthy contingency budget. Build as much flexibility into things as possible. After launch, all elements need to be tested. What copy works, what audiences perform well – what messaging do they respond to? All this is needed so that plans can be revised on the fly. And this extends to budgets too. If a definite ROI has been set, are targets being met? – Should budgets be lowered (or increased)? All of this relies on good quality data. And that is the subject of our next blog – Analytics and data analysis.